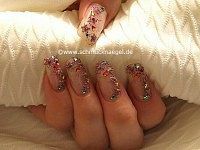 with strass stone – Step by step instruction with photos. We hope that you liked! 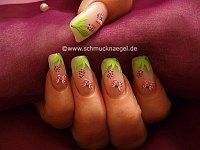 in fuchsia – Nail art summer French design with flowers. We hope that you liked! 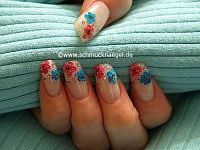 – Nail art with flowers – Step by step guidance with photos. We hope that you liked! for French flowers motif – Guidance with step by step photos. We hope that you liked! for summer – Step by step instruction with pictures. We hope that you liked! 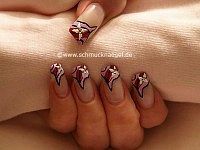 and nail art liner – French flowers instruction step by step . We hope that you liked! 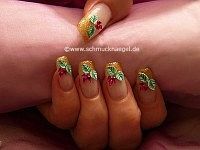 – French motif with flowers – Guidance with step by step photos. We hope that you liked! 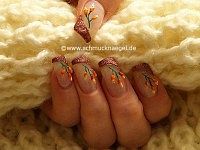 – Flowers design step by step instruction. We hope that you liked! 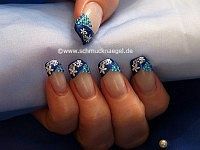 – Nail art motif with flowers. 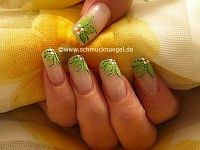 – Flowers design with step by step pictures. We hope that you liked! in different colors – Full cover autumn flowers motif instruction. 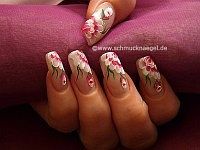 in white and fuchsia – Step by step summer flowers instruction.